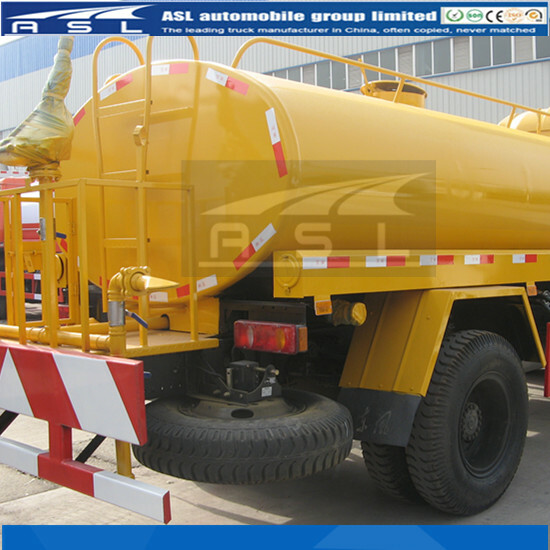 The water wagon is refitted based on the No.2 chassis. The refit part includes water carrying assembly, driving device, net system and operation system. A: Water carrying assembly: A steel container shaped ellipse, which is used to store work water. 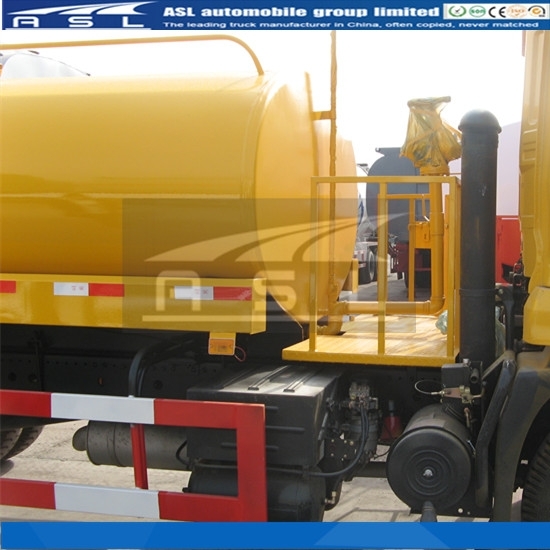 B: Driving device includes power take off, drive line, etc., which can pass the power from the chassis to the pump. C: Net system helps come to all special functions. D: Operation system helps come to all special functions’ convert. 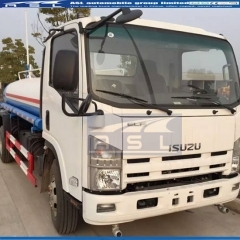 You can operate as to the chassis specification. 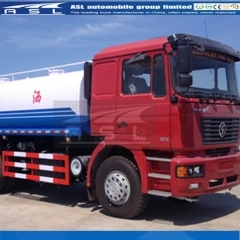 The driver should read carefully not only this manual but also the chassis specification. According to the practical work, you can operate as the following to control the tee’s valve so as to come to absorb/exhaust and flow automatically. The picture is the platform of the tee valve. The dot in the picture indicating the upside line is close. Operated the power take off, the truck should be in neutral. When the engine is idle, step on the pedal of the clutch and move the power take off’s switch to be on, and then release the clutch pedal slowly. The pump will start operating. The breathing-in course is starting the pump up, rotating the laminas inside the pump to form negative pressure, and then the water will be inhaled into the tank from the inlet through the tee A via lines. 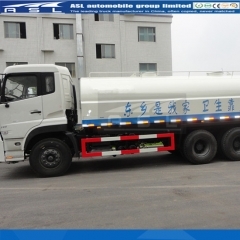 The first time of absorbing water (please read the maintenance manual carefully) byDongfeng 8CBM Street Water Sprinkler Trucks should infuse 20kg water into the tank. Open the tank cover, connect the tubes and make the power take off on to bring the pump operation. After two minutes, the pump starts absorbing water in order. When the water overflows from the rear tube of the tank, it shows it is full. Now you should step the clutch pedal, close the power take off’s switch, and then close the inlet valve, discharge the absorbing tube and lid the cover. The breathing–in course finishes. Choose the required on/off valves according to the schedule, then make the power take off open as to its operation. Now the system starts going into the work situation. This working situation makes use of height difference inside the tank to exhaust the water, i.e. flow automatically. Under this situation, there is no need to start the pump up on HOWO 10wheels Watering Cart Trucks. Choose the required on/off valves according to the schedule (if required, please start the valves in the front/rear of the truck. Attention: plug up the exhaust port with stopple), then make the power take off open as to its operation. Now the system starts going into the work situation. C: It is forbidden to operate the power take off’s switch under the condition of the clutch not apart (not step the clutch pedal).release the clutch should be slow. The operation of the power take off must on the condition of neutral. D: Half-load transportation is prohibited strictly. E: When operating the tee valve, the energy should be equal to protect the ball valve’s seal ability; the tee valve on/off switch should be on the regulated placement (see to “valve operation”). 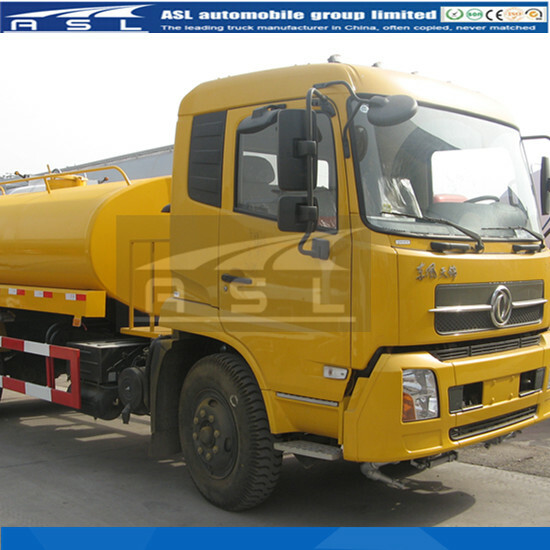 It is forbidden to work under the valve on the wrong placement on High Performance 8000Litres Water Tankers. 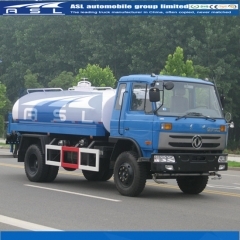 A:The maintenance of the chassis is in accordance with the chassis specification. B: The maintenance of the pump refers to the pump specification. C: The maintenance and oil change of the power take off and transmission should do at the same time. 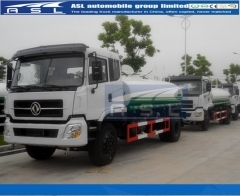 Please see to the auto chassis specification. D: mperature is below 0℃, the remaining water inside the engine, pump, net system and tank should be exhausted to protect parts after the work finishes. If the equipment is keeping rest for a long time, the remaining water should be also exhausted. When use it again, it should be check all coupling and valves control. E: It should be checked all coupling and lubrication at fixed period to exclude the tight parts’ not hard and make sure good lubrication. 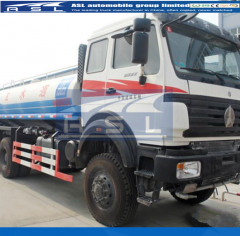 F: The pump, power take off and transmission should be washed, checked and maintain Multi Functional 15000L Water Tanker Trucks completely every year. G: The filter net inside the filter should be washed after each using it. fire hose coupling, self-discharge valve & working platform.